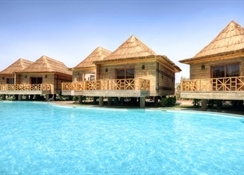 Situated on a cliff of Ras Om El Seid, this beach resort offers panoramic views of the Sinai Mountains. 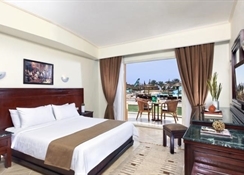 Facilities include a private beach, multiple pools and a tennis court.Beach Albatros Sharm El Sheikh offers 2 fresh water swimming pools and 2 children’s pools. The hotel’s private sandy beach is 1,000 m long and is accessible by a panoramic elevator.From Monday to Saturday, the entertainment staff organises various games and activities. 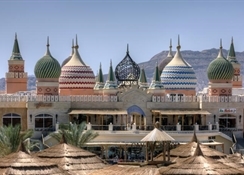 Beach Albatros also offers an internet cafe, on-site shops, and a fitness centre.The buffet restaurant serves Egyptian and international specialties. Guests can enjoy Italian cuisine at Beach Albatros’ Italian restaurant. 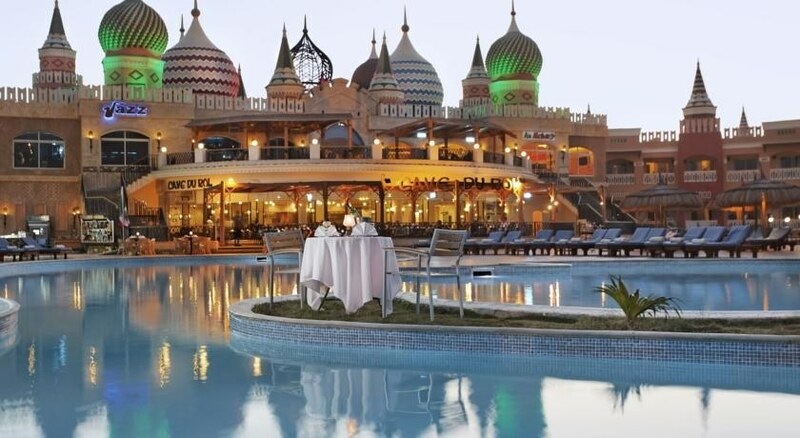 The Montimare Cafe offers live music every day.Sharm el-Sheikh International Airport is 18 km from Beach Albatros Sharm El Sheikh, and 10 km from Naama Bay. 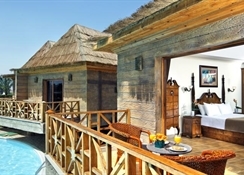 The air-conditioned rooms of Beach Albatros feature a modern interior with traditional Egyptian touches. All rooms have a minibar, satellite TV, and an en suite bathroom. Room service is available 24/7.